The state’s first Health and the Arts Framework was launched last week at the Art Gallery of NSW by Health Minister Jillian Skinner. The framework is intended to guide the integration of the arts into the NSW health care system by supporting collaboration between local health services and the arts sector. Mrs Skinner said “I am excited about the Framework because it will ensure that NSW continues to lead the way in using the arts to improve the health of our rural, regional and metropolitan communities.” Deputy Premier and Minister for the Arts Troy Grant said the health benefits of art are well known and this framework will ensure those benefits are felt throughout our public health system. “In many aspects, NSW is blazing new trails when it comes to what a hospital looks and feels like for patients and the arts will play a pivotal role in this new era,” Mr Grant said. Along with the Framework, Mrs Skinner introduced NSW’s first Health and The Arts Exchange – an online portal for contemporary arts, health information and activities in local communities. “The Exchange includes a wealth of information from across NSW and internationally and is designed to support a dynamic, world-class music, arts and health services community,” she said. A1. 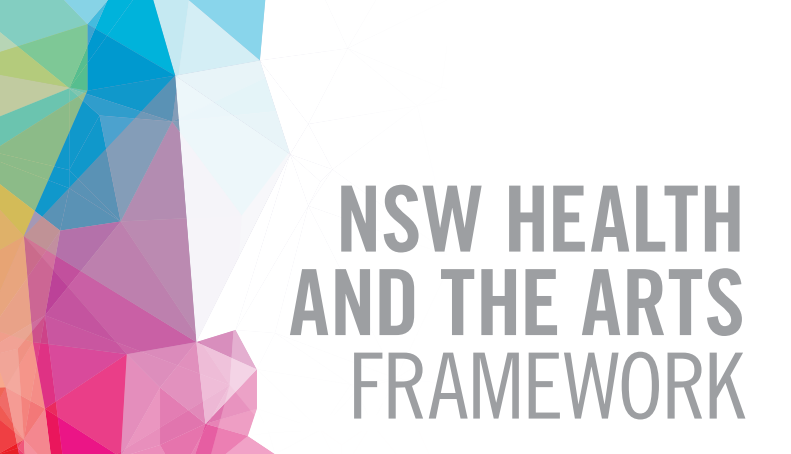 That NSW Health formally develops and adopts a Framework for the promotion of a health and arts strategy for New South Wales under the direction of the Minister for Health. A2. That each Local Health District/Speciality Health Network be invited to establish a Health and Arts Advisory Committee under the leadership and direction of the Chief Executive. Each LHD/SHN should be free to determine the membership and terms of reference of such Committees and their relationship with the LHD/SHN Board and other established committees. However, each Health and Arts Advisory Committee must prepare a health and arts strategic plan for endorsement by their Board before being eligible to receive funding. A3. That the Minister should provide specific initial funding for each such Committee to develop an initial Health and Arts Strategic Plan. A4. That the Minister instructs the Ministry of Health to prepare a suite of relevant guidelines to be adopted by each LHD/SHN covering such matters as the Minister may specify drawing on those outlined in this Report. Further that the Ministry draw the attention of all Health and Arts Advisory Committees to the existence of and need for compliance with all relevant Ministry Policy Directives including the NSW Health Code of Conduct. A5. That a Deputy Secretary of the Ministry of Health is designated as the principal departmental sponsor of the Health and Arts Program and take responsibility for the overall coordination and promotion of health and arts initiatives. A6. That an independent evaluation review of progress on all aspects of the health and arts program is initiated eighteen months from the commencement of the program and that a full evaluation is undertaken after a period of three years. B1. That a funding model based upon the eligibility and assessment criteria set out in this Report is adopted and that funding allocation is made in accordance with these specifications. B2. That funding decisions be made with the active involvement of representatives of the arts sector as well as representatives of the health sector and subject to Ministerial approval. C1. That a clearing house (to be known as the PAtH Exchange) be established in a way which leverages off the existing Innovation Exchange of the Agency for Clinical Innovation and be accessible through that site and via the webpages of the Minister and Ministry of Health. C2. That initially, this site be restricted to providing access to information as outlined in this report with a possibility of future development into a more interactive portal. C3. That funding is provided to the ACI for the development and management of the PAtH Exchange. D1. That the Minister give consideration to sponsoring a more comprehensive whole of government approach to the integration of health and the arts in co-ordination with the NSW Arts portfolio and numerous other NSW government departments and agencies that deliver relevant services and/or have objectives consistent with the proposed NSW Framework. D2. That the Minister gives consideration to the establishment of an All Party Parliamentary Committee on Health and the Arts modelled on the existing example of the United Kingdom Parliament. See attached link for further information about opportunities for involvement and ways to support your Local Health District or Specialty Health Network. Also attached is a link to connect with the PAtH Exchange.